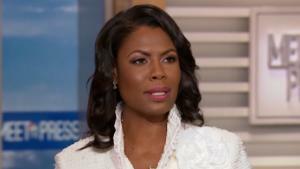 Omarosa Manigault Newman, the former “Apprentice” star and estranged aide to President Donald Trump, claimed on Sunday that she recorded White House chief of staff John Kelly firing her in the Situation Room. Manigault Newman provided audio to NBC, which aired portions of her recording during an interview on “Meet the Press” and posted more online. “It’s come to my attention over the last few months that there’s been some pretty, in my opinion, significant integrity issues,” Kelly said.